It’s nice to breathe new life into old things, apply a little spit-and-polish, and watch shiny chrome emerge as you vigorously apply the rag to the rust-speckled fenders of that old Schwinn. With just a little care and maintenance, a bicycle will reward you with a shockingly long lifespan. Classic 1970’s bikes are still in wide use today, I personally ride a bike that just turned 30, and —even today— bike manufacturers have not quite figured out how to build planned obsolescence into their products. The bike frame, fork and wheels should be of good quality, from a reputable manufacturer, and free of any structural flaws. 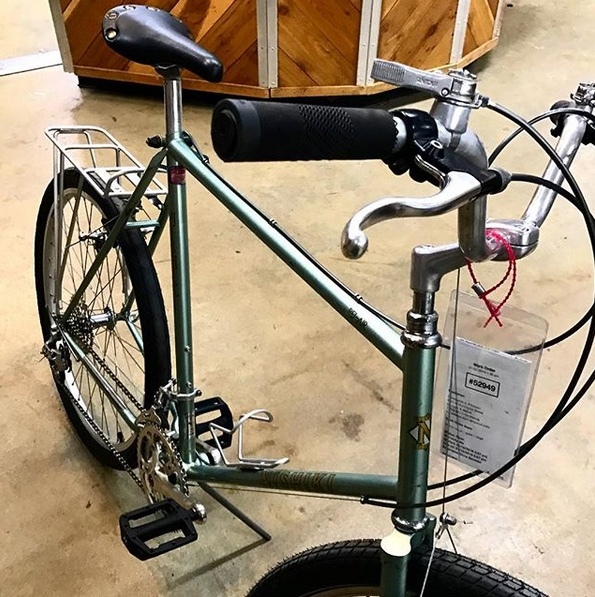 That can include vintage Schwinn and Raleigh 3-speeds, traditional Japanese or Taiwanese made road bikes, early mountain bikes and much more. Have the mechanic thoroughly inspect the frame before you invest in repairs. The bike should fit your physique and riding style. If you have a beautiful vintage bike that fit an older relative who was several inches taller or shorter than you, you could restore it for sentimental reasons, but it will not be a good fit for you. Similarly, if you’ve been handed down a vintage 10-speed, and you want to shuttle your toddler to playdates, it might not be an ideal choice. Do make alterations necessary for better fit. If the bike is a close fit, swapping out the saddle or handlebars can make it much more comfortable. On some older 10-speeds, it might even make sense to switch to upright handlebars to make the bike suitable for your intended use. Keep you expectations reasonable. A good tune up should make the bike feel as good or better than when it was new, but it will not turn it into something that it is not. Repairing an older bike is not always the more affordable option. That doesn’t mean it shouldn’t be done —we’ve worked with numerous customers who spent many hundreds of dollars on their beloved old bikes— just be aware that in some cases a complete restoration can easily outpace the cost of a brand new bike. If you’re really looking to ride more, it pays to get a bike that really meets your needs where you are today. Otherwise, something that has theoretical value will simply collect dust on your porch. A bike that fit you in high school may not meet you current needs. A mountain bike might be frustratingly slow on a 10 mile commute. A comfort cruiser won't let you keep up with your fitness-riding friends. A department store quality bike is almost never a good repair investment. It may be an OK choice for someone on a very tight budget, but a complex and potentially expensive repair is not likely to yield good results. It’s better to use that dollar amount as seed money for a new bike. It may not make financial sense to fix a bike in the condition of total disrepair, or with the majority of parts needing to be replaced. The exceptions would be a premium quality, undamaged frame, or a bike with very high sentimental value, on which we would not presume to put a price tag. If the integrity of the frame is compromised, it’s time for a new bike. If the frame is bent, cracked, rusted through, has broken welds, a stuck seatpost or bottom bracket, it’s time for it to be retired. A new bike purchased from us at Cosmic Bikes will come to you fully assembled, and with a maintenance package included, giving you complete peace of mind for one year, and many more seasons of enjoyment. It’s a fantastic investment that will pay you dividends for years to come.